Stay tuned for upcoming adventures, promotions and surprises. World news can be a bit of a downer sometimes, so we wanted to try to combat that by spreading some positivity and good vibes. We've decided to try a feel-good experiment for the next three weeks. Once a week, I'll share a #threegoodthings post and email that is chalk full of warm fuzzies, smiles and good news from all around the world. If you love this stuff, let us know! If you’re a foodie like me, you plan almost every day around what you’ll be eating and traveling is no different. I love to try new things and experience the cuisine and culture of a new place. 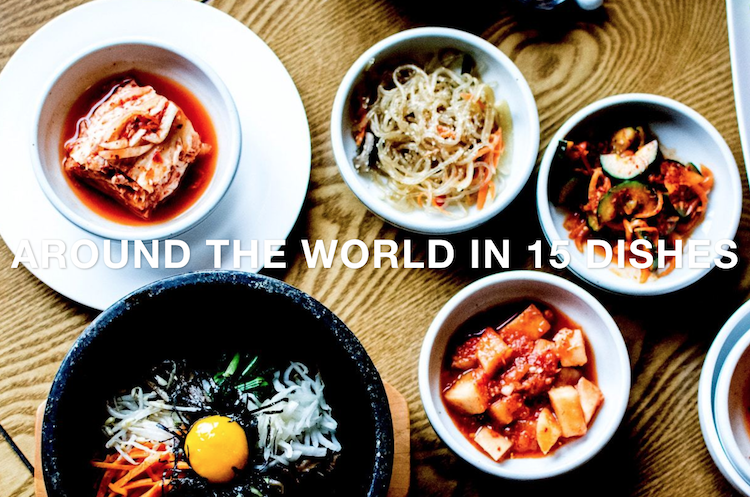 I’ve collected the most popular, must-try dishes from around the world so you can taste your way through your travels. There’s something for everyone; whether you have a sweet tooth, prefer savory dishes, are a breakfast food fan or live the street food life. PSA: you will definitely be hungry after reading this article, so prepare accordingly. Ready to redeem your discount code? Head back to our shop by clicking the button below.